With the Sun being spotless for so many days, it is no surprize that almost no solar flares are observed. Yet the Sun produced an isolated C1 flare on 6 January, peaking at 10:51UT. The source region was the almost spotless active region NOAA 2732, close to the Sun's west limb. No coronal mass ejection was associated with this solar flare. 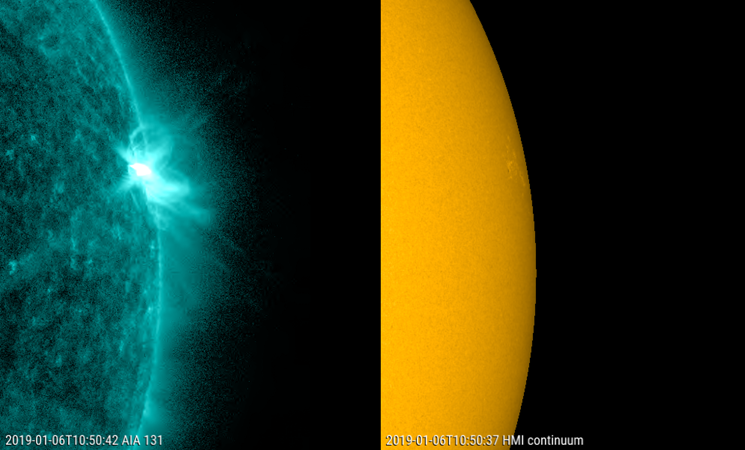 The full disk imagery underneath shows the flare at its peak in extreme ultraviolet (SDO/AIA 131; top), followed by a comparison with a white light image (SDO/HMI), zooming in on the active region. The flare appears to have taken place over the trailing portion of NOAA 2732, where still a tiny sunspot can be seen. This is the first C-class flare since 6 July 2018, when a C1 event was recorded from a region behind the east limb (see this STCE newsitem). 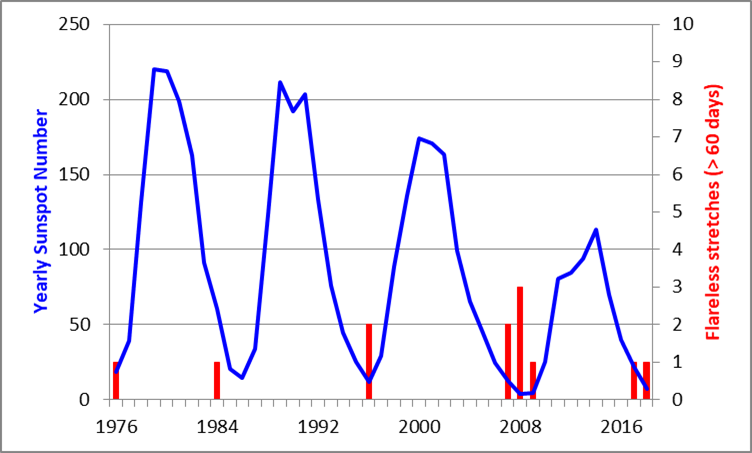 This means we have had 184 days with no significant flaring (C-class or higher), which is a typical value for deep solar cycle minima. 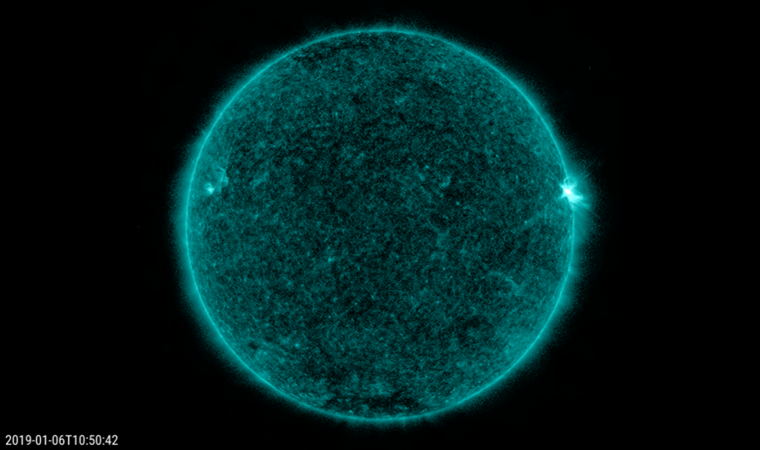 Since the GOES observations started in 1976, the longest stretch without C-class flares was from 3 April till 3 November 2008. That's 214 consecutive days of very low solar activity! Only a dozen of these "flareless" periods (no C-, M- or X-class flares for more than 60 days) have been observed, and half have occurred during the previous solar cycle minimum.